7 independent Local Rural Support Networks networked together under a unique rural focus. This strong and unique rural infrastructure covers all of rural Northern Ireland. The Local Networks draw members who are largely rural and cover a wide range of community and voluntary sector organisations in their area of remit including: community groups, social economy, play groups, farmers, women, youth, disability and older people etc. 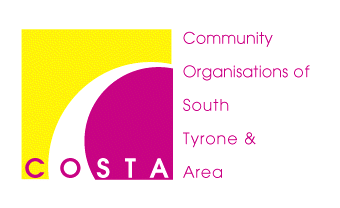 Covering all of Rural Northern Ireland, the LRSNs have been officially recognised as an example of good practice and an essential conduit between rural communities and statutory bodies – providing communities with access to the decision making process, and decision makers with a means of tapping into the expert local knowledge on the ground. Each Rural Support Network is totally independent and therefore directly accountable to, and fully representative of, the communities they serve. We are membership based and our Management Boards are elected each year at AGM from our member groups. Our primary aim is to support local groups and organisations to achieve what they want for their community. We help groups to help themselves by working with groups and not for groups. Visit: www.localruralsupportnetworks.org for further information.